There are many tax credit options that could influence your business in 2019. First, there is a credit to help you provide health insurance to your employees. The new tax reform could essentially lower the cost of providing this insurance, while also offsetting some of the tax burden for your business. These changes include the ability to be credited for nearly half of the insurance payment portions your business picks up for employees. However, there are specific requirements in order to qualify. Second, you could receive a credit for the costs of providing an employer pension plan, which more talent is now seeking from their employers. Although the credit is capped at 50 percent of the cost of these plans, it is still a credit worth considering. This third tax credit may only be applicable to certain types of businesses. However, for those that may qualify, it provides some welcome relief and incentives to increase your research and development activities for certain initiatives related to product development, product improvement, and business performance enhancement. Other credits that may be applicable to your business include the family and medical leave tax credit, an electric vehicle credit, and a work opportunity credit that provides a benefit for hiring veterans and members of special groups. Each one of these tax credits comes with stipulations, so it is best to research each one to find out if your business can qualify. For 2019, most tax brackets for adjusted gross income, which is the amount earned after deductions, were lowered. However, taxable income for most people will increase because there are fewer tax deductions. Because of this, you may want to review federal withholding payments to avoid underpayment penalties. If you itemize, you can still deduct gifts to charity. For those who are nearing the standard deduction threshold, charitable deductions may be the way to push the amount up to a level that will allow for itemization. If you have the financial means, it may even be ideal to double up on your charity donations to reach that threshold. For those running a proprietorship, it may be relevant to know that if you are going through a divorce, those divorces finalized in December 2018 are the last that will allow for alimony payment deductions. Starting January 2019, any new or modified divorces are no longer allowed to be a tax write-off. 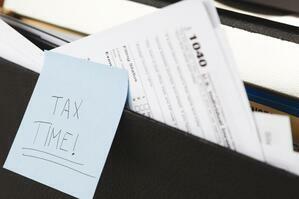 Business owners, including those that have side gigs, may benefit from new tax code changes. However, the benefit depends on how much you make. If you have a sole proprietorship, a limited-liability corporation, partnership or an S-corporation, there are now more opportunities to deduct expenses. For example, if you plan on purchasing new assets, such as equipment, it’s possible to deduct 100 percent depreciation. This may be the year to upgrade computers or expand the business with new equipment. Under the new tax code, small businesses can lower the federal income tax rate on profits by 20 percent if taxable income on a personal tax return is below $157,000 for singles or lower than $315,000 for married couples who file jointly. Before implementing any changes related to the tax updates noted here, it’s best to consult with a tax professional, like a certified public accountant (CPA), who can explain complexities around tax issues and recommend the right strategies for your specific business.